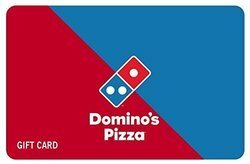 Prominent & Leading Manufacturer from Mumbai, we offer mcdonald's - gift card - gift voucher, domino's pizza - gift card - gift voucher, kfc - gift card - gift voucher, pizza hut - gift card - gift voucher, baskin robbins - gift card - gift voucher and bombay blue - gift card - gift voucher. Domino’s Pizza has captured people’s imaginations with several innovative campaigns. KFC is the world’s No.1 Chicken QSR and has industry leading stature across many countries like UK, Australia, South Africa, China, USA, Malaysia and many more. KFC has introduced many offerings for its growing customer base in India while staying rooted in the taste legacy of Colonel Harland Sander’s secret recipe. Its signature dishes include the “crispy outside, juicy inside” Hot and Crispy Chicken, flavorful and juicy Original Recipe chicken, the spicy, juicy crunchy Zinger Burger, Toasted Twister, Chicken Bucket and a host of beverages and desserts. For the vegetarians in India, KFC also has great tasting vegetarian offerings that include the Veg Zinger and Veggie Snacker. Purchase a KFC Gift Card for yourself or gift it to someone special. 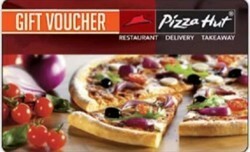 Pizza Hut Gift Voucher is the best gifting option since this is sure to bring a smile on the face of even the most sullen people. When it comes to celebration time, good food option takes the priority; and as everybody knows anytime is Pizza time! 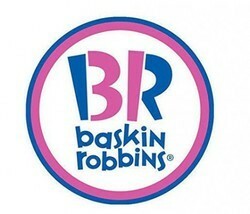 Baskin Robbins is one of the largest retail chains in India.You can also buy vouchers of any denominations in multiple of Rs. 500. Rs 1000, Rs 2000 etc. Gifting the perfect dining experience at the most happening place in India.You can also buy vouchers of any denominations in multiple of Rs. 500. Rs 1000, etc. Noodle Bar – it’s the ultimate destination for noodles; it tastes even better than it sounds, and looks absolutely tops as well! Noodle Bar presents a range of authentic steamed dumplings, tantalizing soups, and fried dishes from the Far East. 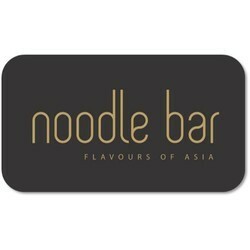 If you’re wondering what to gift your foodie friend, here’s a foodie recommendation – a gift card from Noodle Bar! 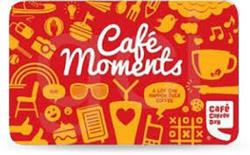 Exquisite Coffee Experience with Costa Coffee Gift VoucherThe perfect place to relax, slurp upon delicious coffee flavors, and spend quality time conversing. Celebrate special occasions with your friends and family, redeeming exciting Costa Coffee gift vouchers at your nearest outlet. 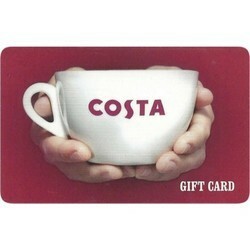 The gift cars are valid only in India and can be redeemed only on purchase of Costa Coffee beverages and food.Enjoy an exquisite coffee experience with Costa Coffee gift coupons for your loved ones. 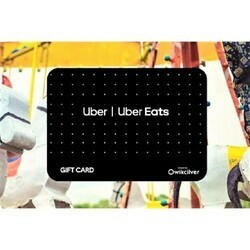 Use our Uber gift cards to gift your family and friends the luxury of ordering their favourite eats at home. Know anyone in your circle who hesitates to order food because of late deliveries and unpalatable food? It’s time to introduce them to the Uber Eats service. Gift them the joy of ordering from hundreds of top restaurants, delivered directly to their homes at the best speed possible – the Super Uber speed. Having an Uber gift card on hand is like having money ready to spend on transport and food. Your gift recipients will love you for such a thoughtful and wonderful gift! *Validity: 36 months from the date of issue. T.G.I. Friday's! concept is to offer great food and beverages in a fun atmosphere, served by friendly people. We are a casual dining establishment where couples, families and singles can enjoy a varied menu of tasty appetizers, meals and desserts as well as a broad selection of alcoholic and non-alcoholic beverages.This refreshing concept embodies all the fun and camaraderie and "let your hair down" feeling that comes before a weekend and distils that spirit into a wonderful, casual dining experience that throws its doors open all week long. Even the name has its origins in a unique spirit "Thank Goodness it's Friday's!". 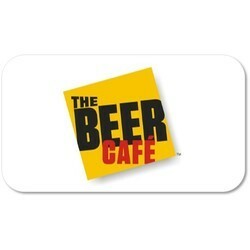 THE BEER CAFE is a renowned alcobeverage service brand in India. Bestowed with prestigious awards such as the Images Coca Cola Golden spoon award, India Restaurant Congress award, Times Nightlife award and ET Now business & service excellence award, the consumer and industry has recognized this concept as a blockbuster. So, experience The Beer Café, India's largest, fastest growing and the most awarded beer chain. If it’s your best friend’s birthday today, you’re already late with a conventional gift.You can also buy vouchers of any denominations in multiple of Rs.500, etc. The art of Chinese cooking is shrouded in mystery. You can also buy vouchers of any denominations in multiple of Rs. 500. Rs 1000, Rs 2000 etc. Spaghetti Kitchen brings Italy’s diverse and distinctive flavours to delight Indian palettes through a range of signature dishes. 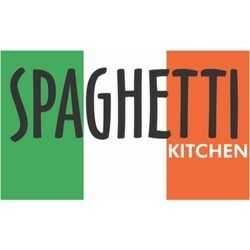 Buy a Spaghetti Kitchen gift card for someone today, and change the way they view Italian cuisine forever. Whether it’s a birthday, anniversary, special event or job promotion, a Spaghetti Kitchen gift card makes a perfect gift. Unmatched Fine Dining Experience with Sigree Gift VoucherThe unique and rare menu at Sigree has been extensively researched and revived, blissfully savoring the taste buds of food connoisseurs in Kolkata, Pune, Chennai, and Delhi. The glimmering charcoal fire, the large iron vessels, and a lot of patience and expertise made Sigree stand up to the mark of authentic flavors of ancient North Western cuisines in India. Today, Sigree is one of the premier restaurants in India, with a fine dining ambiance, excellent food, and unmatched services.For special occasions, Sigree gift vouchers are perfect choice, providing a unique and sensational dining experience to your beloved ones. Your dear ones will love to relish upon authentic ancient Indian cuisines, with flavors and taste retained intact as the original. 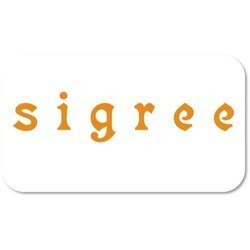 The gift cards are valid for 6 months from date of issue and can be redeemed at Sigree specialty locations only. The Coffee Bean & Tea Leaf has been making news in the US since 1963, and has now brought its exclusive flavours to India. 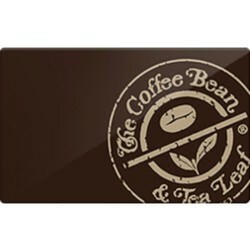 The Coffee Bean & Tea Leaf Restaurant gift card is a gift with a difference – it’s a gift that can be enjoyed time and again! Gift your friends generously with their preferred roasts and blends. 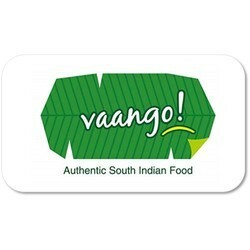 Make the Most of South Indian Dishes with Vaango Gift VoucherWhen you want to experiment with vegetarian food in a modern contemporary ambiance, Vaango is the place come. True to its name, (the word literally means 'come in'), the place is highly welcoming and you will feel at home inside in no time. The service is prompt and you can have a choice from a plethora of menu items for selection. If you love eating out and want to give somebody you know a great time out with family and friends, Vaango Gift Voucher is the ideal choice. Relish Authentic Bengali Cuisine with Oh! Calcutta Gift VoucherAn ode to the reminiscent charm and gastronomic delights of Kolkata, the City of Romance, Oh! Calcutta is the perfect destination to savor authentic and lip-smacking Bengali cuisine that will make you fall in love with this charming city yet again. The restaurant presents a distinct fare of traditional and contemporary Bengali delicacies that are a true reminiscence of this glorious city, the intellectual force; the cultural capital of India.Celebrate special occasions with your friends and family, dining out at Oh! Calcutta with special gift vouchers. Oh! 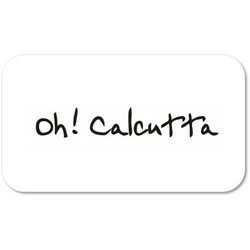 Calcutta gift cards are valid for 6 months from the date of issue. The coupons can be redeemed only at Oh! Calcutta specialty restaurants to enjoy delicious and unforgettable Bengali cuisines at its best!! Step into Cafe Zoe in the day, and you will be delighted with the radiant sunlight streaming through big glass windows, exposed brick walls and high ceilings over a 4000 sq. ft. space. This Cafe, Brasserie and Bar has retained its industrial heritage and offers free wi-fi and a wide selection of books. 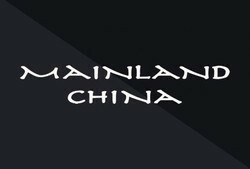 The menu delights with authentic European cuisine and cocktails. 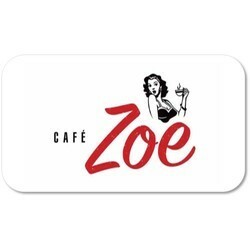 Energetic and buzzing in the evenings Cafe Zoe is the perfect evening hang out. Transforming into a perfect party destination over the weekends, Cafe Zoe is the obvious choice. 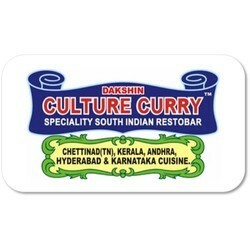 Incredible Dining Experience with Dakshin Culture Curry Gift VoucherDakshin Culture Curry is the first and only-of-its-kind in Maharashtra that offers lip-smacking eclectic cuisines from the Southern Peninsula of India - Kerala, Tamil Nadu, Karnataka, and Andhra Pradesh. Culture Curry is the ideal destination for an outstanding range of Chettinad, Kerala, Manglorian, Hyderabadi, Andhra, and Coorgi cuisines, with authentic flavors of vegetarian and non-vegetarian South Indian delicacies. As a matter of fact, Dakhshini Culture Curry is a sort of mini South India in Mumbai, breaking the misconception that South Indian cuisine is only about vegetarian, dosas and idlis. Blue Foods has become well known for its distinctive branded restaurants - Spaghetti Kitchen, Bombay Blue, Noodle Bar, Copper Chimney & Coffee Bean and Tea Leaf. 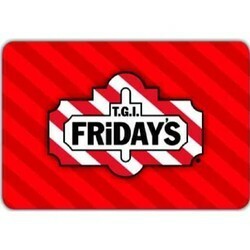 A great gift to give a food lover- A restaurant gift card. No arguments there! 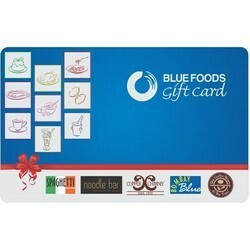 Try the Blue Foods gift card. 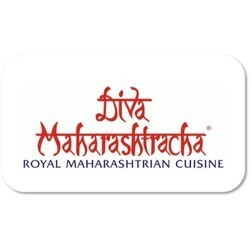 Authentic Maharashtrian Dining Experience with Diva Maharashtracha Gift Vouchers Diva Maharashtracha gift vouchers are the best present to food connoisseurs who love to explore India's diversity in its cuisines. The coupons are the ultimate way to spend some quality time with family and friends on special occasions, relishing upon lip-smacking, authentic Maharashtrian cuisines. Your loved ones would definitely enjoy the exotic cuisines served in a splendid Peshwa Palace sort of ambiance that will make their dining experience even more enchanting and memorable. The restobar is a must-visit for some of the renowned celebrities in India, making the place even more royal and exquisite. Imagine enjoying exquisite dining among birds chirping, wild leopards watching you, and a perfect ambiance of deep wood and nature. Discover a delightful 'jungle' amidst the buzzing city of Mumbai at Machaan, the restaurant. 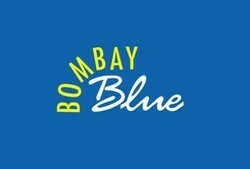 It has opened another outlet in Kolkata recently. 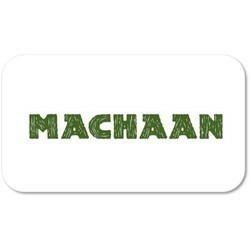 Machaan is a themed restaurant that beautifully presents the mystery and charm of untamed, raw jungle. In fact, it is one of the few themed restaurants in India today, presenting unique cuisines and delicacies from the Duars, Ranthambore, and an outstanding fare from Kanha forest to Gir.Machaan gift vouchers are a true delight to food lovers who enjoy experimenting. Let your beloved ones celebrate their special occasions, dining out at Machaan with gift cards presented by you. The sensational experience dining out at this themed restaurant is memorable, and your loved ones can't stop thanking you all the more. Goa Portuguesa Gift Voucher: Enjoy Good Food without Worrying about MoneyGoa Portuguesa has emerged as one of the most popular destinations for authentic and lip-smacking Goan delicacies, served amidst a warm, posh and exuberant ambiance. 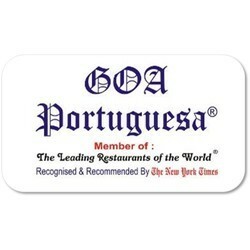 Goa Portuguesa is an ISO 9001:2000 certified restaurant, serving more than 200 lip-smacking Goan vegetarian and non-vegetarian delicacies ranging from starters, soups, salads, accompaniments, and a wide variety of main courses. The restaurant also serves international and local alcoholic and non-alcoholic beverages.Goa Portuguesa gift vouchers are a great delight for food connoisseurs who loves to taste the diversity of rich Indian cuisines. 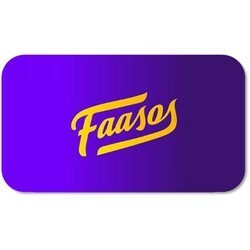 Looking for Food & Beverage - Gift Cards - Gift Vouchers ?